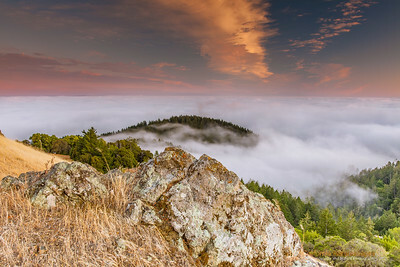 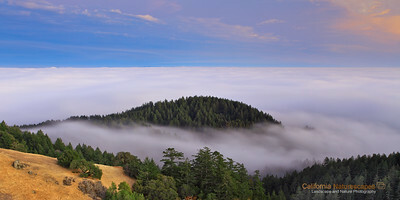 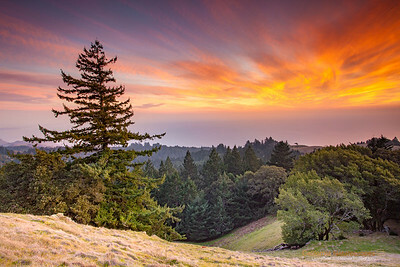 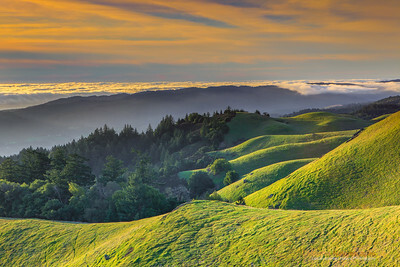 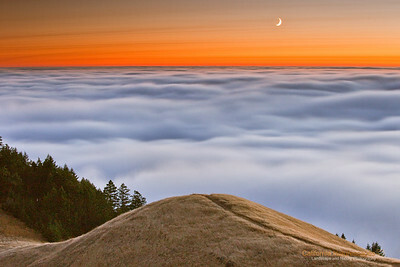 "Rolling Hills of California" Location: Mt Tamalpais State Park, Marin County, California. 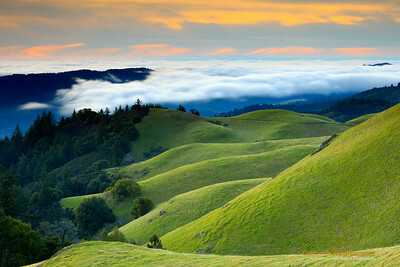 Hiking on the slopes of undulating rolling hills at Mt. 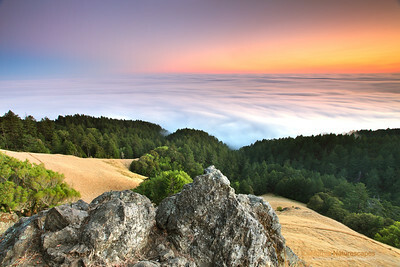 Tamalpais State Park has its perks. 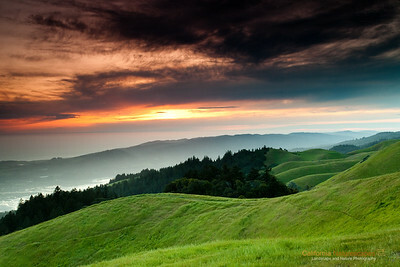 Here is an image for those who could not witness the beauty of this amazing place. 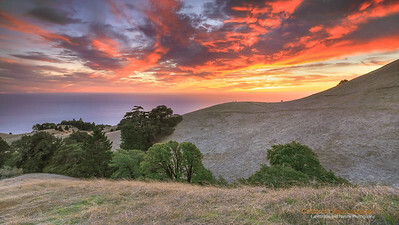 Tech Info: Lens: Canon EF 17-40mm f/4L @ 30mm Camera: Canon EOS 5D Mk II Exposure: 0.6sec at f/13 and ISO 50 Filters: All the ND Grads I had with me... the dynamic range was too high to be managed with just one filter. 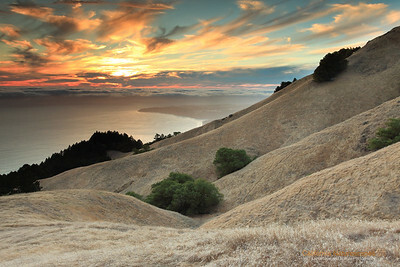 Post Processing: Added warm tones by adjusting white balance. 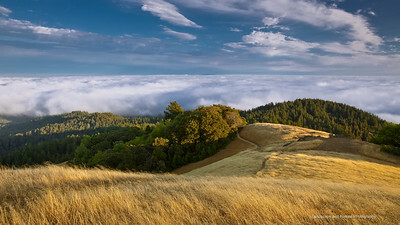 Added few more software ND Grads filters. 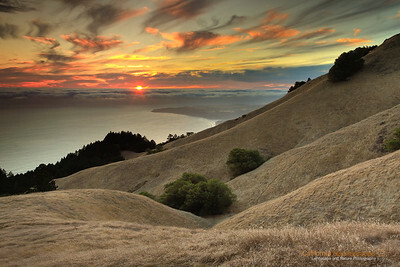 Dust removal and saturation adjustments.